One of the first things you learn in journalism is that there is no such thing as truth. In any given situation you've only really got peoples' opinions to go on and these more often than not conflict with each other. That is, of course, a mantra to make your job easier but you could easily read it literally. After all, philosophers have long contended that everything we experience is governed entirely by the way our senses are interpreted in the brain - and that these can be easily manipulated. It is therefore entirely possible that an isolated brain in a jar could be fed electrical impulses identical to those of touch, motion, taste and sight and experience them as though it were in a body. Theoretically, this could be happening to you right now but you have to ask yourself, does that make it real? This isn't an existentialist blog and it's not my place to even attempt to answer such a loaded question but I'm becoming more and more convinced this principle is the basis of much modern political discourse. You could argue that, with the amount of time we spend watching TV, playing video games and surfing the net, reality is something we are becoming increasingly detached from. I'd say the Internet is the principal culprit here but I've read on more than one occasion soap actors telling journalists they've been berated by members of the public for something their screen character has done - as though they were one and the same person. Politicians, I am sure, are acutely aware of this and waste no opportunity in exploiting it. Ed Milliband is the latest in a long line to do so with his banning of the word 'Coalition' among his shadow cabinet colleagues. His logic is that if they say 'Tory-led Government' often enough, it will become the truth, for the simple reason that people will believe it, regardless of its accuracy. It's up to you to make up your own mind, of course, but the evidence suggesting the Coalition is an equal, or at the very least, proportionate partnership is compelling. And it is worth pointing out the Liberal Democrats already have a disproportionately high number of Cabinet members. Tim Montgomerie compiled his own comprehensive stock-take of Tory concessions to the Liberals (and vice versa) and the Telegraph tapes, if nothing else, do show Liberal MPs at least believe they have a great deal of leverage (see here and here). And you could very well go on to say, as many Tories have, that Vince Cable's retention as Business Secretary is proof of this co-dependency. Of course, politicians deploying proof by assertion is nothing new. It was used with frightening success in the United States by the Bush administration in linking Saddam Hussein to Osama bin Laden - a partnership so ludicrous as to be about as likely as Benjamin Netanyahu and Mahmoud Ahmadinejad sharing a bath. And so it will continue. Labour have already shown themselves to be completely devoid of any alternative to the Coalition's policies, despite shallow bleating to the contrary, so its unsurprising they should attempt to bend reality into something slightly more in their favour. Naturally I hope I'm mistaken in my pessimism. 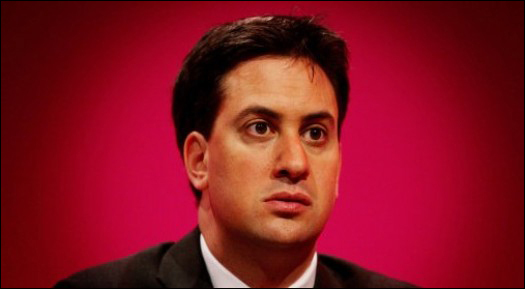 If I am, expect voters to reward Milliband with a resounding Tory victory in 2015.